I was casually recording an approaching storm this afternoon when this happened, and I had to change my underwear. The strike was about 80 metres away (behind the camera, I believe) and marble-sized hail followed from a suspected supercell. Will this be blamed on “global warming” as well…? 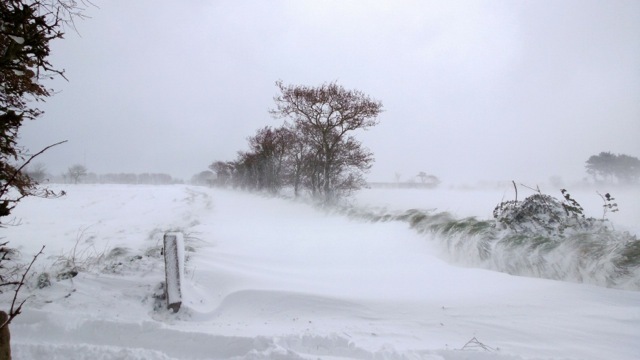 More on the worst storm since the 1950s here. From the Weather Isn’t Climate Department. I have relatives on the picturesque island of Jersey, in the Channel Islands, and they have just experienced the worst snow in decades. Jersey is close to the Normandy coast, and the maritime influence of the Atlantic ocean keeps winters generally mild. 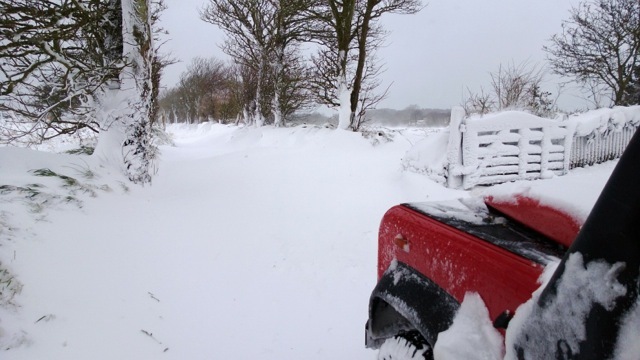 ISLANDERS woke to a white-out this morning after Jersey was battered by the worst snow storm in 24 years. Roads were blocked, power lines ripped down, several pedestrians and motorists were injured by falling trees and much of the Island ground to a halt as blizzards carpeted the Island in six inches of snow and drifts of more than ten feet. More photos are available at the link. Therefore they should work on Earth too, right? And we should trust their projections to base trillions of dollars of spending which could otherwise be directed towards real problems, right? Computer models have accurately forecast conditions on Mars and are valid predictors of climate change on Earth, according to a team of US and French astronomers. 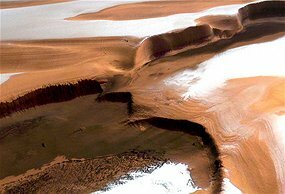 They say the computer programs accurately predicted Martian glaciers and other features on Earth’s planetary neighbour. “Some public figures imply that modelling of global climate change on Earth is ‘junk science,’ but if climate models can explain features observed on other planets, then the models must have at least some validity,” says lead researcher William Hartmann of the Planetary Science Institute. The team’s findings were presented at the annual meeting of the American Astronomical Society’s planetary sciences division in Reno, Nevada. Hartmann, a senior scientist at the non-profit Planetary Science Institute in Tucson, Arizona, says he and his team confirmed the computer models’ effectiveness by using them to forecast conditions on Mars. Seems a pretty good argument. I mean, apart from the fact that Mars has no vegetation, no animals, birds, insects, bacteria, fish (or humans) or anything other living organism, no oceans or water, an atmosphere made up of 95% CO2, no weather to speak of (except occasional cirrus-like clouds), no precipitation of any significance (except perhaps a few flakes of solid CO2 blowing in the wind), temperatures that rarely exceed 0˚C, takes twice as long to go around the Sun (and is 70-odd million kilometres further from it) has hardly any tectonic or volcanic activity to speak of, or any other myriad complications of the Earth’s climate, it’s almost exactly the same! Here’s the exclusive ACM climate model result for Pluto. Bloody cold. See, even I can do it! I will leave readers to contribute any other components of the earth/ocean/atmosphere system of our planet that are absent on Mars. Another from the Weather Isn’t Climate Department. October is Spring down here in Oz-shire. Snow isn’t unheard of, but it’s pretty rare. Global warming sure is tricky – as we all know it can cause any weather phenomenon you care to mention, so I guess it’s only a matter of time before someone blames climate change. What did we do before climate change came along? All those extreme weather events happening for millions of years – for no reason at all! Must be the gods. Thank goodness for AGW – now we can blame everything on that. Phew. 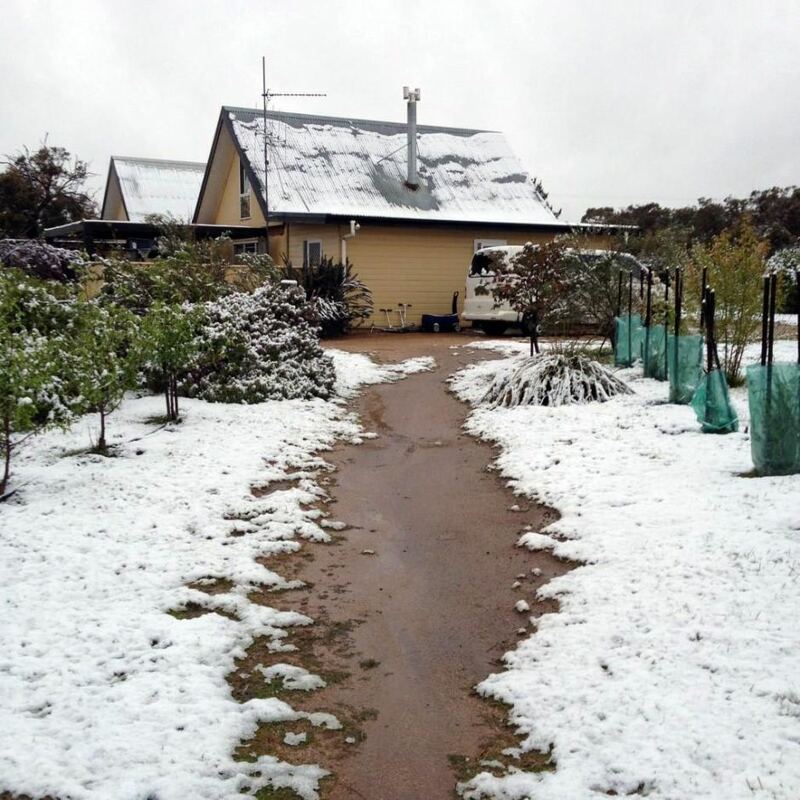 Snow has been falling right along the New South Wales ranges, in places that didn’t see snow all winter, for some it is the heaviest in several years. The heaviest falls on Thursday night and Friday morning have been between the Blue Mountains and Canberra. Snow has been falling in Orange and has been heavy in Oberon, Crookwell and Bowral. As much as 20 centimetres has reportedly settled on the ground in the Crookwell area. The Canberra area itself also had snow on Thursday, the national capital’s coldest October day since 1968, stay below nine degrees all day. Snow has also been heavy in the Blue Mountains, even a few centimetres worth settling on the ground in Katoomba. 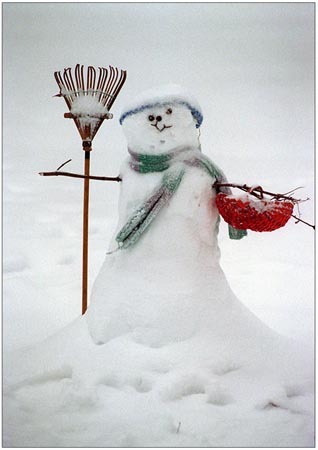 According to locals, it is the heaviest snow in four-or-five years. Further north, snow has fallen in Glen Innes and Armidale, unusual in winter, very unusual in October. Residents woke to white ground in Glen Innes and the cover has been about five centimetres deep in Guyra. It has been five years since snow has been this evident in Glen Innes. The skies are finally clearing in Sydney, allowing it to warm up above average after the coldest weekend in four years. Today’s sunshine enabled it to reach 19 degrees early in the afternoon, one degree above average, Brett Dutschke, senior meteorologist at Weatherzone, said. This is noticeably warmer than it got all weekend, which had a 15.6-degree maximum and a wind chill of 10 degrees at times.